some sort of knapweed?, originally uploaded by phlegmmy. 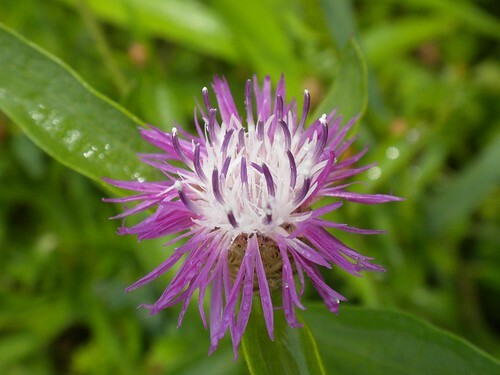 I think this is some sort of knapweed, but can't find any pix on-line that look like it. It is a beautiful little flower though. Phlegmmy, was there just one flower or were the flowers bracketed by others? If just one, it might be Black Knapweed, if bracketed, Brown Knapweed, maybe. I think maybe the brown, there were others.